I was writing about Saint Ita’s Hospital in Newcastle West, Co Limerick, earlier today [2 January 2018], and about its architect, George Wilkinson (1814-1890). Saint Ita’s was originally built as a workhouse. But in Victorian era, Newcastle West also had a second hospital. 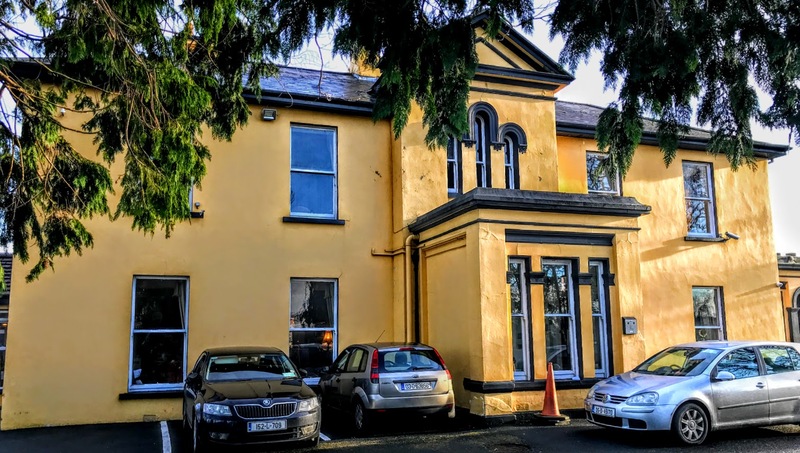 Beechwood House, now a nursing home above the banks of the River Arra, once served as Saint Ita’s Presbytery and has been a private residence, but it was first built as a Fever Hospital around the same time as Wilkinson’s workhouse. The house was originally built in 1843 as a fever hospital and dispensary, with accommodation for 15 patients. It is a fine example of an early Victorian residence, and it stands on an elevated site on the south side of Newcastle West. 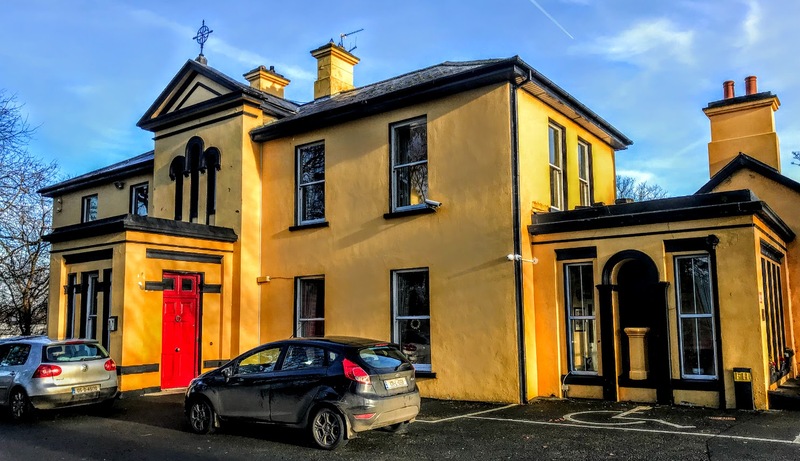 Although it was the subject of critical reports in the recent years, Beechwood House remains a significant part of the architectural and social heritage of Newcastle West and West Limerick. Despite recent renovations and extensions, the house still has many of its original historic features, including some timber sash windows, tooled limestone sills and a fine timber panelled door. This five-bay, two-storey former fever hospital was first built in 1843. It has a central gable-fronted breakfront bay and a single-bay single-storey porch at the front. There is a later three-bay, single-storey wing to the side and a two-bay single-storey extension block to rear. The rendered pedimented parapet wall has a moulded stringcourse, surmounted by a cast-iron cross finial above the breakfront bay that may date from its time as Saint Ita’s Presbytery. Today Beechwood House is surrounded by modern housing estates, but it has been well maintained and still has commanding views across the River Arra and across much of the town.